Merle Hay Mall provides a great way to stay fit year-round. 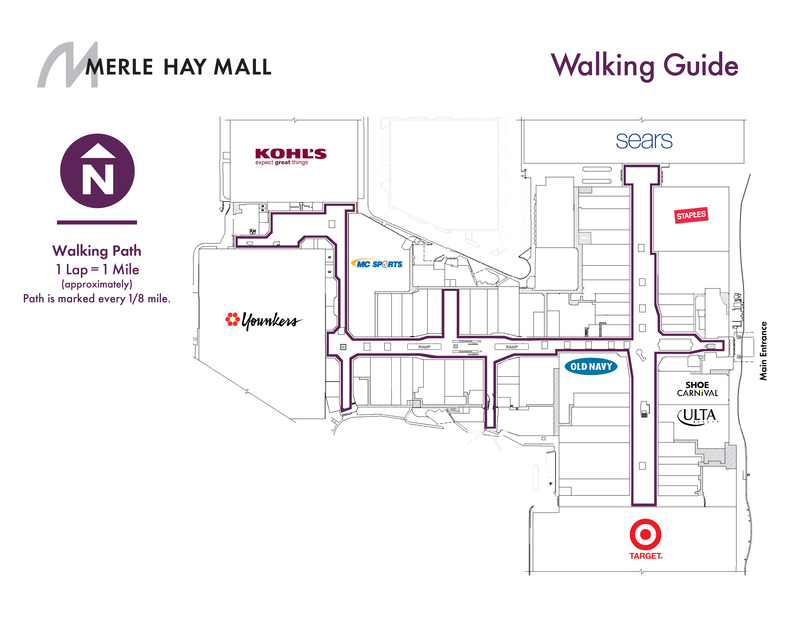 The mall offers a mile-long, interior loop in a safe, temperature-controlled environment. Join one of the friendliest walking communities and, of course, wonderful window shopping! Doors open 7 a.m. every morning, so you can beat the shopping rush.